﻿ How will presentations look in 5 years with new technology trends? How will presentations look in 5 years with new technology trends? The pace of technology development has increased dramatically over the last few years. How presentations are designed, built and delivered has also changed, with increased audience interaction, product demos, immersive slides and non-linear storytelling. Presentations can take many forms, from small meeting room pitches to large keynote presentations launching new products. With the advances in presentation technology, we are no longer limited to basic PowerPoints; instead we have software such as Prezi, live audience polling apps and technology to practice presentations in virtual reality. In this article, we look at how technology will change the way presentations are delivered and created, covering technology trends such as augmented reality and embedded 3D models. With HTML5, you can build presentations without paid software such as PowerPoint and Keynote. HTML5 is very flexible and feature filled, allowing you to build beautiful presentations with it. Although HTML5 requires some coding knowledge, companies and educational organizations have begun adopting this method of presentation creation. Designers can now create life-like objects and customized visual environment with virtual reality and augmented reality, which audiences can interact with. This would allow people watching the presentation remotely (e.g. during a keynote) to actually interact with the presentation by, for example, putting on a VR headset and being teleported inside the simulation which is being talked about. Product demos can be the heart of a presentation. Many of the largest and best known presentations included a demo (iPhone, Microsoft Surface Pro, iPad, Google Glass, etc.). With improved streaming capabilities, demos are becoming more popular, with the presenter usually streaming the device screen to a larger projector so the audience can see what the presenter is doing. Presentations nowadays adopt a conversational and interactive approach, instead of the audience just listening to the presenter for an hour. Often the presenter will ask questions of the audience and encourage them to get involved in the presentation, leading to higher knowledge retention rates. An example of live polling during a presentation. Animations can make dull presentations more visual and interesting. In addition, cinemagraphs (still photographs in which a minor and repeated movement occurs, forming a video clip) can captivate the audience’s attention, making them particularly popular in blog articles in the form of animated GIFs. High-quality graphics with attention-grabbing photos, typography and fonts are being used to facilitate audience attention and immerse the user in the presentation. Warm, rich and modern colors should be used to influence and manipulate audience emotions and psychology. Newer color trends promote the improvement of audience engagements, such that colors used should invoke the chosen emotion the presenter wants to invoke. For some time now, augmented reality has been used in presentations. As AR headsets improve in quality and reduce in price, we’ll see them being utilized much more in presentations. Augmented reality can make static images and data come alive with animations and graphics. AR allows your audience to explore data, locations, stories and much more in a realistic way, putting them inside the story and presentation. Imagine a product design presentation to directors of a company. 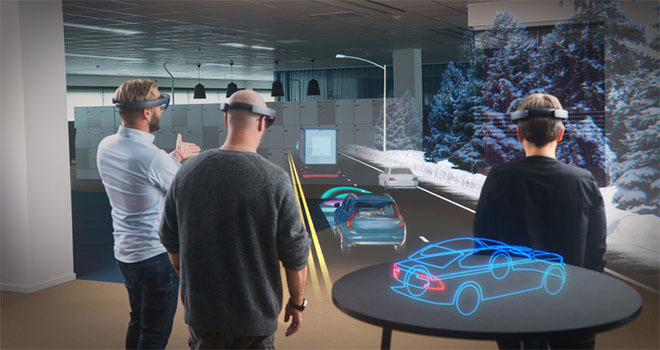 Augmented reality allows the directors to visualize the product in the meeting room with them, where they can interact with it as they would the real product. One limitation with this, particularly at large conferences, is that every audience member would require an AR headset – which currently cost several thousand dollars. The price will reduce in the future but currently this is a key limitation of the technology. With over 100 million virtual reality users in 2018, virtual reality (VR) has become a popular way to enhance people’s digital experience. Initially used for gaming, VR is expanding out into the training, collaboration and presentation sectors, where the audience can be teleported to a virtual world – an amazing way to tell immersive stories. Studies have shown that visualizing a situation increases memory retention. 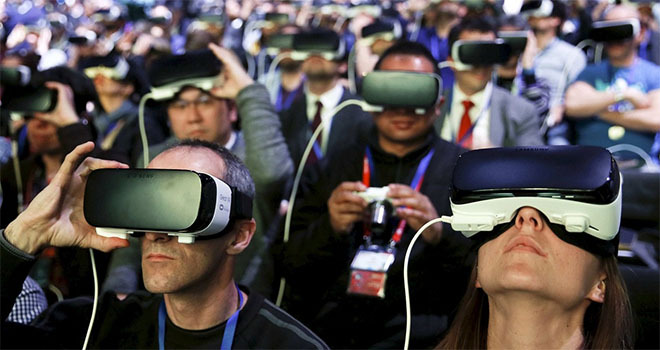 In this way, VR will help audience members retain what is being told, leaving them with a truly memorable experience. VR is currently much cheaper than AR, with the option of using Google Cardboard or similar low priced headsets at conferences – it is already being experimented with. As with AR, audience members can even interact with each other in the virtual world. Software such as BigScreen, AltSpace and Facebook Spaces have shown the power of group interaction, something that could be leveraged well for presentations. Companies are already experimenting with VR meetings and presentations and will be very exciting so see where this leads – will it end up replacing Skype and other VOIP / video presentation software? 3D models have been used for years now but as a result of better accessibility with PowerPoint’s 3D functionality, presenters can show all the possible perspectives of a product to be designed. This is an important development for Computer Aided Design teams and designers in general. Being able to present 3D models to colleagues and stakeholders in an understandable way is important for the review process. The rapport between presenters, their audience and their presentation is crucial. Information being presented on the screen needs to correspond with the presenter's body language and speech. Devices such as Leap Motion controllers allow presenters to advance slides, control transition between slides or zoom slides by tracking hand, finger and muscle movements. This technology will become an important part of future presentations. Myo armband on the womans right arm being used to change presentation slides. Technology will change how your presentation audience interact with the presentation, including how they ask questions, make suggestions, contribute to polls and discuss your presentation online. Technology can allow anyone in the world to watch and interact with your presentation – future technology may even reduce the need to people to meet up in-person, with online and interaction tools being so powerful. This will reduce travel emissions and wasted travel time – both areas employees and companies are keen to reduce. 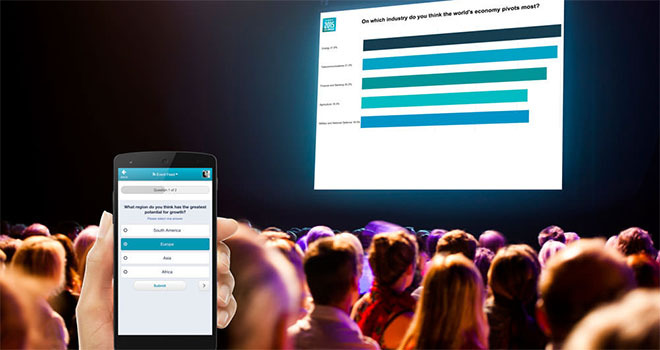 Devices like Zeetings allow audience members to remotely follow presentations on their smartphones, tablets or computers so they can watch closely as the presenter interacts with slides (zooming in or out) and contribute to polls or live questions and answers. Based on our predictions of how presentations will look over the next five years, technology will no doubt play a huge role in all aspects of presentations, from preparation to delivery. 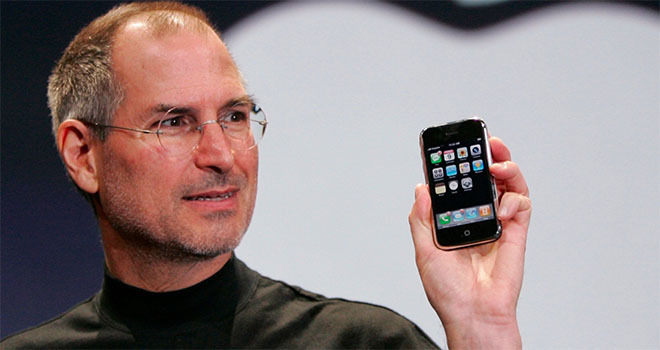 However, it’s worth remembering that technology is there to enhance the presentation, not replace you as the speaker. Technology helps to keep the audience engaged and improve understanding of your communicated message.